The White Noise Market App received a major overhaul this week and we think you’ll really like it. The first thing you’ll notice is we added a new Chatter view which shows the latest comments that have been posted to the market. It’s fun to scroll through and read what people are saying about each sound we upload. Sometimes you’ll get a new idea like when Tevon suggests creating the perfect mix of Time Machine and Skylight Rain. Sometimes you’ll laugh like when Sara said the Paddling Canoe sound “makes me wanna pee.” Another great moment was when Andrew sent us his recording of “Spring Rain in Arizona” and then Teresa commented “I live here and this is what our rain sounds like. 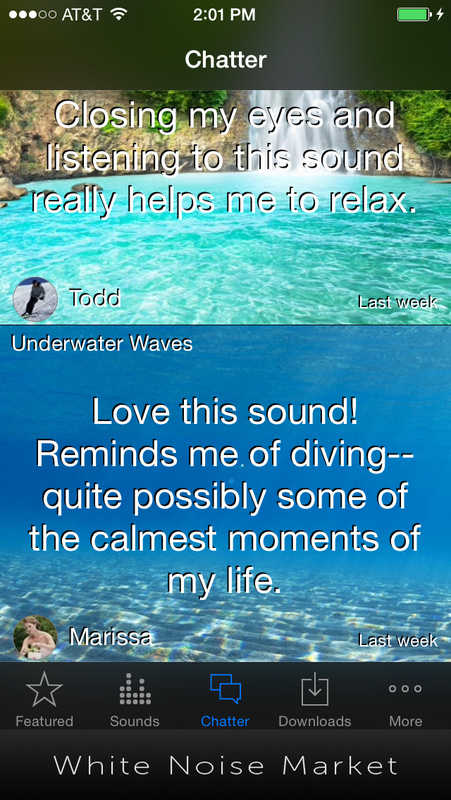 Love it.” That’s really awesome to see that our users are recording, sharing, and commenting on their own sounds. Be sure to listen to all of our User Recordings and maybe you’ll get inspired to record your own. That’s not all that made it’s way into v2 of the Market App. It was really an entire rewrite of the code to improve performance. 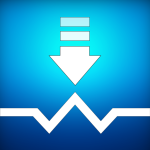 You’ll notice scrolling, navigating, and even downloading of sound files is much faster. And it’s a much better experience than using your mobile browser. Download the latest version and see what everyone is Chattering about.